You know what’s popular in Japan? Minecraft. You know what else is popular?Dragon Quest. 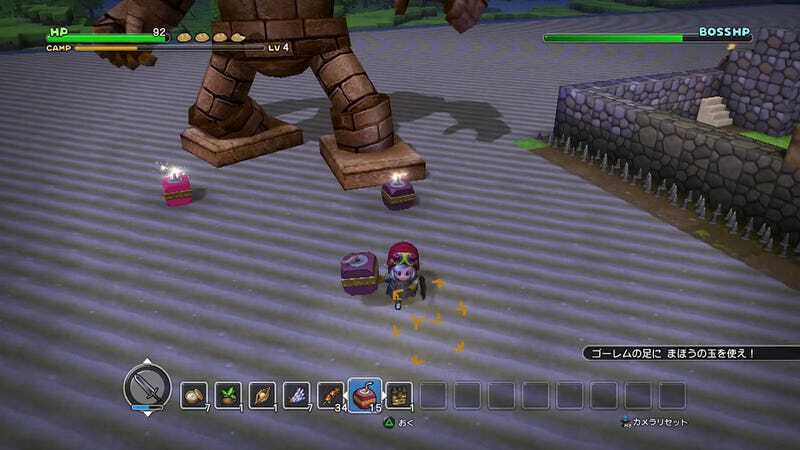 Dragon Quest Builders is what happens when you mix the two. 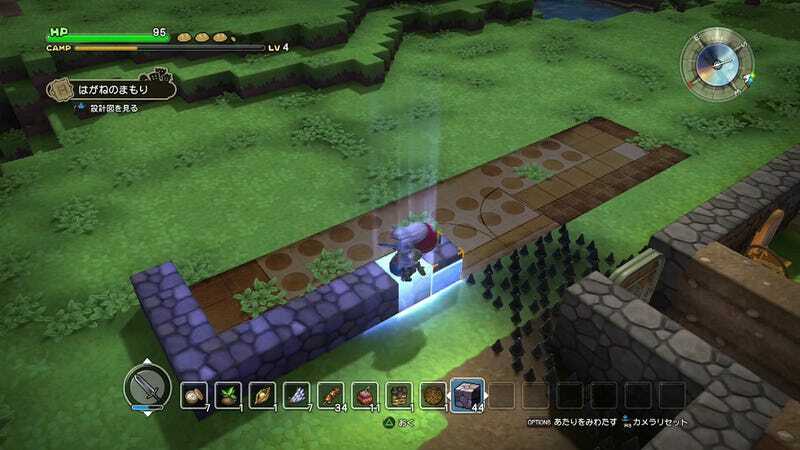 Broken down to its essence, Dragon Quest Builders is Minecraft, but with direction. In Minecraft you are basically dropped into a world and sent off to do whatever you want. 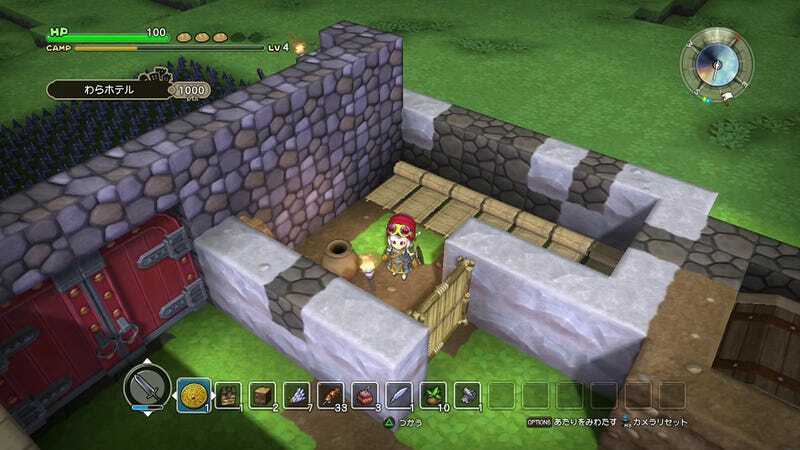 In Dragon Quest Builders you are tasked with building a settlement and drawing various NPCs to it, eventually forming a new town and purifying the land. You do this by doing various quests for your fledgling settlement’s inhabitants. These quests range from the mundane (e.g., cook food) to the epic (e.g., steal two fire-breathing demon statues from a cult deep within a pyramid). However, most are simply to go out, collect materials, and build specific items for the settlement. There are generally two kinds of roadblocks when it comes to progression in the game. The first comes in the form of major monster assaults on your settlement. At first, these are easily defended against by you alone, though some of your fellow settlers will be sure to join in. But as time goes on, you’ll need to turn your outer walls to stone to prevent them from being broken down, lay out metal spikes around your perimeter, and build a heavy gate with accompanying booby traps. The other hurdle you’ll need to overcome from time to time is leveling up your settlement. Each object you create is worth a certain number of experience points for the settlement, and while objects typically can be placed anywhere, certain objects placed together in the same room can make that room into a specific type of room, netting bonus points. For example, six beds, an “inn” sign, and a torch inside a room turns it into a hotel. A stone crafting table, storage box, and torch makes a rock-working room. 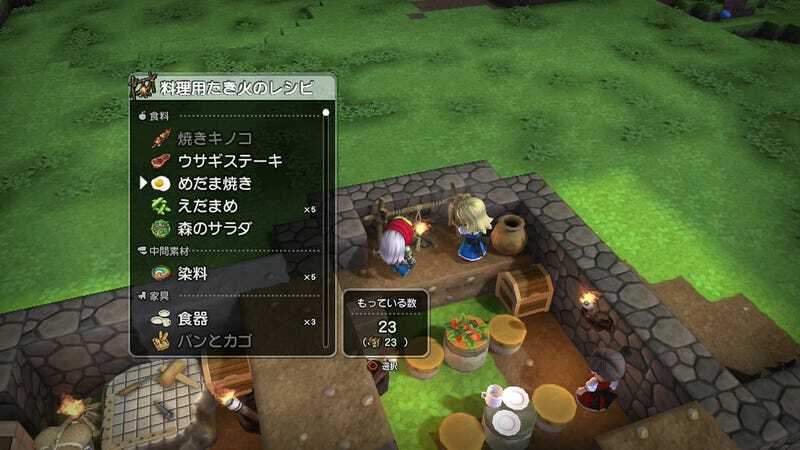 Of course, the more quests you do and areas you unlock, the more objects you can create, and more types of rooms you can build. You can also find blueprints for specific types of rooms hidden throughout the world. 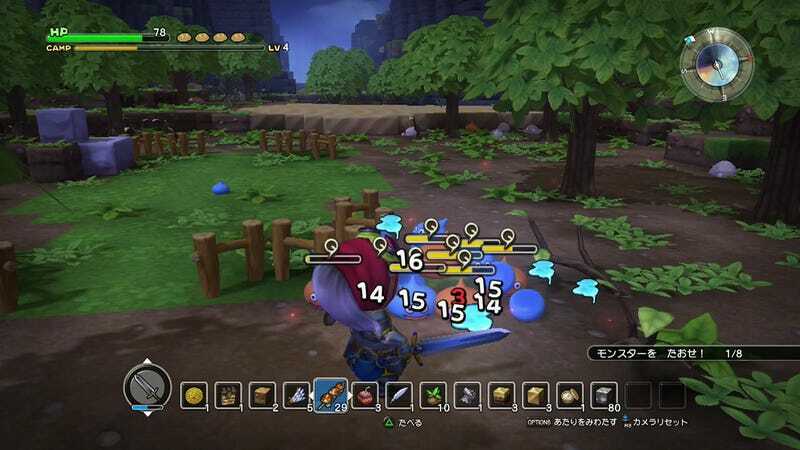 The world in Dragon Quest Builders is segmented into different islands. Each is filled with different terrain, monsters, plants, and minerals, each of which unlocks via a magic portal as you progress through the quests. The various islands have plenty to explore. In fact, if you’re doing only quests and nothing else, there’s actually a lot to miss, including world boss monsters in the far corners of the world. After you have completed all the quests for your settlement, you have one final, epic boss battle at the gates of your settlement. The battle involves a mixture of fighting the boss, killing the lesser monsters it summons, and defending your settlement as well as yourself. Upon beating all the quests in the first world, you unlock a second one where you start in a new location from scratch again. You do this a total of four times to beat the game. Also, after you beat the first world, you also unlock the free roam mode, which basically turns the game into a Minecraft clone where you make your own adventure. Other than the directed nature of the game, the biggest difference betweenMinecraft and Dragon Quest Builders is actually the camera angle. 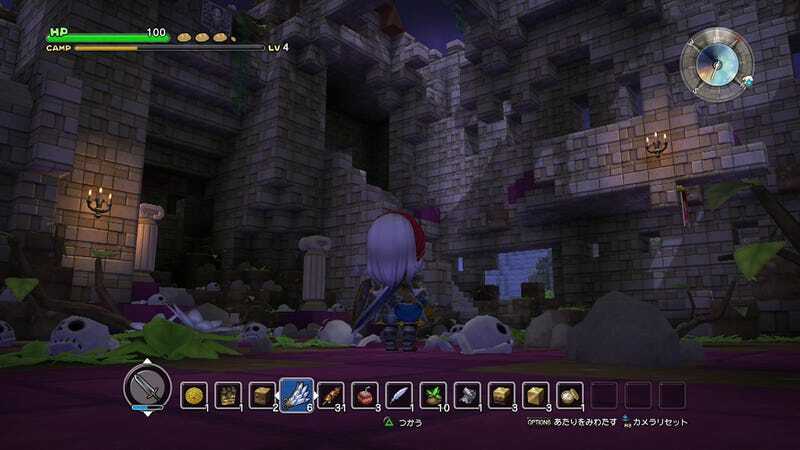 While Minecraftis designed as a first-person affair (so all you have to do is look where you want to place an item), Dragon Quest Builders is third-person, making the entire building aspect a bit more difficult. While placing blocks is a bit awkward, it isn’t the only odd thing about the third-person camera. As the it usually floats high above your character, it freaks out when indoors, unsure where to go. 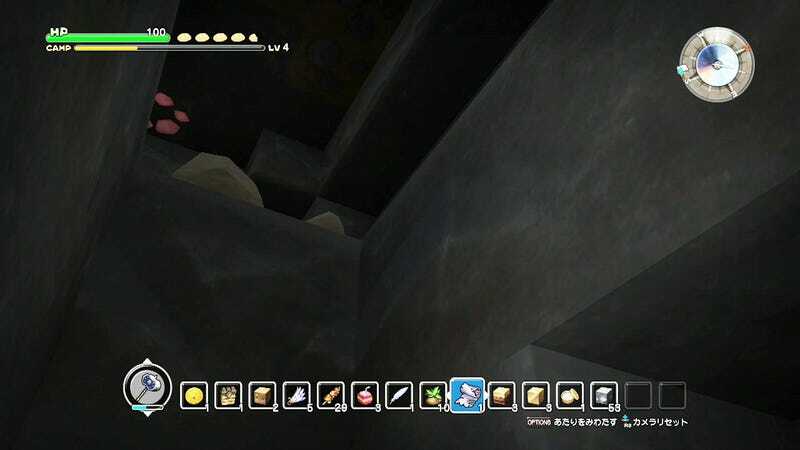 Mining deep in a mountain has similar problems, leaving you unable to see. Ceilings are such an impediment, you’re better off never building any in your settlement. The game’s pre-built indoor areas all have ridiculously high ceilings to combat the camera issues. So, if you plan to build any multi-story buildings in Dragon Quest Builders, better make that second story freakishly high if you want to be able to see when inside. Dragon Quest Builders is exactly what you’d expect. It is a retooled Minecraftwith a Dragon Quest coat of paint. I personally enjoyed the quests and direction the game gave me, as well as the fact that free-build mode was unlocked after the first world instead of after beating the whole game. If it weren’t for the problematic third-person camera, there wouldn’t be anything to complain about in this title. 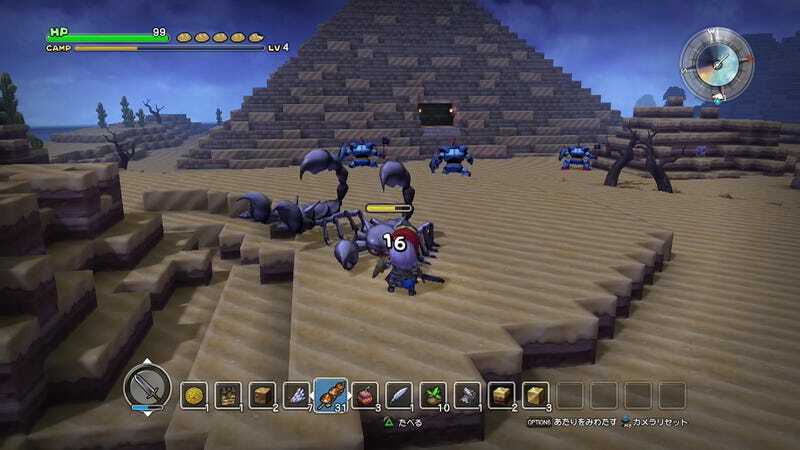 Still, even with that issue, if you like Dragon Quest andMinecraft—or wish Minecraft were a bit more goal oriented—Dragon Quest Builders is certainly worth a try. 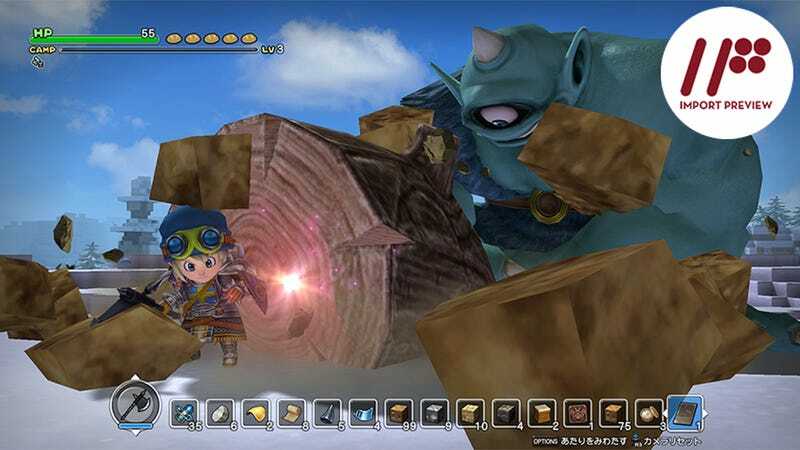 Dragon Quest Builders was released on January 28, 2016 for the PlayStation 4, PlayStation 3, and PlayStation Vita. There is currently no word on a Western release.